Jake Haygood, left, and Hampton Woods. Mount Paran Christian School seniors Jake Haygood and Hampton Woods are not ordinary teenagers. They both have faced life-threatening health issues and turned their challenges into opportunities to help other children facing similar battles. Both boys have been in and out of hospitals many times, and they noticed problems that needed to be addressed. They recognized that the transferal and retrieval of patient information is a huge obstacle to care. When an emergency situation arises, the medical staff needs to be able to access patient information quickly, but that is not always what happens. In Hampton’s case, one trip to the hospital almost turned disastrous when a nurse tried to give him the wrong drug. If his information had been easier to access, that would not have happened. When asked for ideas for Pediatrics 2040 Innovation Beach, a pediatric medical conference, the duo used their similar hospital experiences for inspiration. 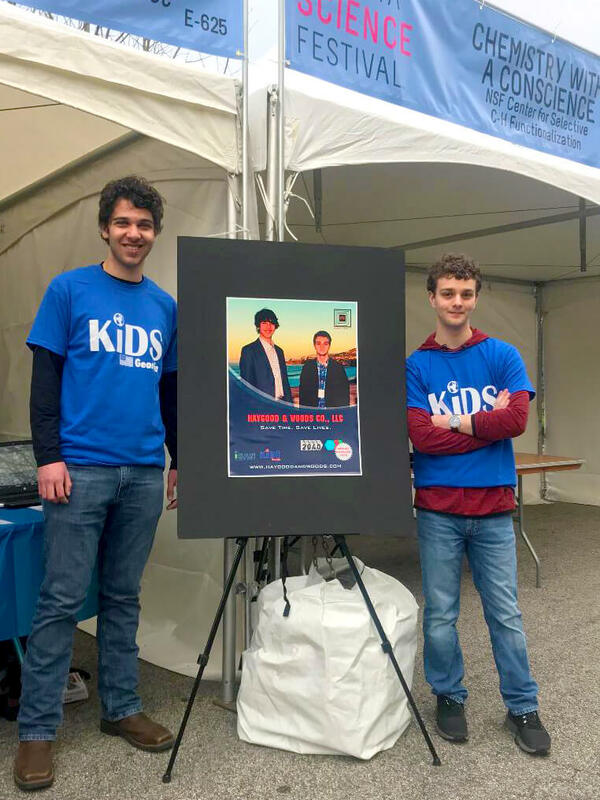 Jake and Hampton, at the ages of 14 and 15, respectively, developed a radio frequency identification wristband that allows first responders and hospital personnel to read a patient’s chart in case of emergency, possibly preventing overdoses, drug interactions, allergic reactions and miscommunication. Jake has idiopathic angioedema, which causes swelling of the lips, tongue and throat. He also has dyslexia, which causes eye fatigue and visual tracking issues. Instead of just accepting this, he set a goal of reading five hours a week to strengthen his eyes. Jake advocates for the needs of children with chronic illnesses, and has had multiple opportunities to present his technological ideas. He has worked with a team at Georgia Tech to help in the creation of computer vision models for a rapid noninvasive anemia diagnosis application. Hampton’s story is similar. As a baby, he had a liver transplant due to May-Thurner syndrome, and has had dozens of hospitalizations and surgeries. He also has been enrolled in a clinical trial for transplantees. “Both boys have chosen not to make their whole lives about the worst thing that ever happened to them,” said Hampton’s mother, Christine. 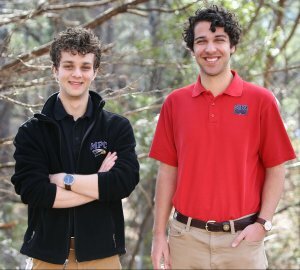 After presenting the wristband idea at the conference, the pair beat out other startup organizations to win the popular vote, and Haygood and Woods Co. was born, a healthcare IT innovation startup. Hampton and Jake are working on making a more professional model, but there is no doubt their device will help improve pediatric medicine. • Won the first-place popular vote at PEDS 2040. • Presented at Molecules for Minions and the Atlanta Science Festival. • Reviewed policies and clinical trials and analyzed transfer of care with children who have complex illnesses through the International Children’s Advisory Network (iCAN). • Hampton helped created KIDS Georgia, which stands for Kids Impacting Disease through Science. The organization is part of iCAN and contributes to clinical research, giving feedback to clinicians, pharmaceutical companies and media device innovators. • Jake is working with a lab to develop a noninvasive rapid anemia diagnosis app, utilizing computational models and skills to implement machine learning models. • Hampton was a keynote speaker for the Pediatric Pharmacy Association’s annual meeting, and participated in the International Society for Pediatric Innovation roundtable discussions at Children’s Healthcare of Atlanta Pediatric Technology Center at Georgia Tech. • In November, Jake and Hampton attended and presented at the second subcommittee meeting for the FDA Patient Engagement Advisory Committee. These two Mount Paran Christian School seniors are not only brilliant, innovative and creative, but also have a courageous outlook on life. Both have been accepted to state colleges, but haven’t made final decisions yet. Regardless of where their college endeavors lead, Jake and Hampton are changing pediatric medicine for the better, no matter what challenges may come their way. – Jennifer Bonn, a French teacher at Mount Paran Christian School. 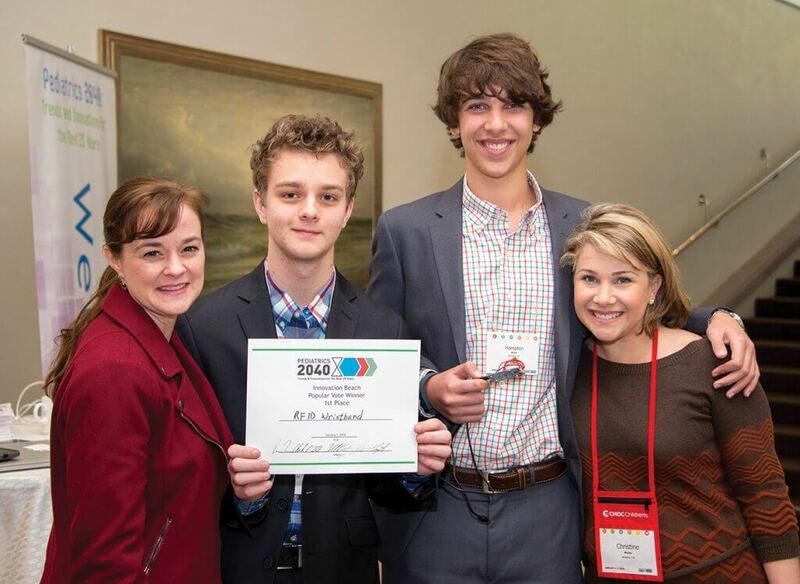 Jake Haygood and Hampton Woods, with their mothers, after winning the popular vote at PEDS 2040. Hampton Woods, right, and Jake Haygood, left, at the Atlanta Science Festivial. 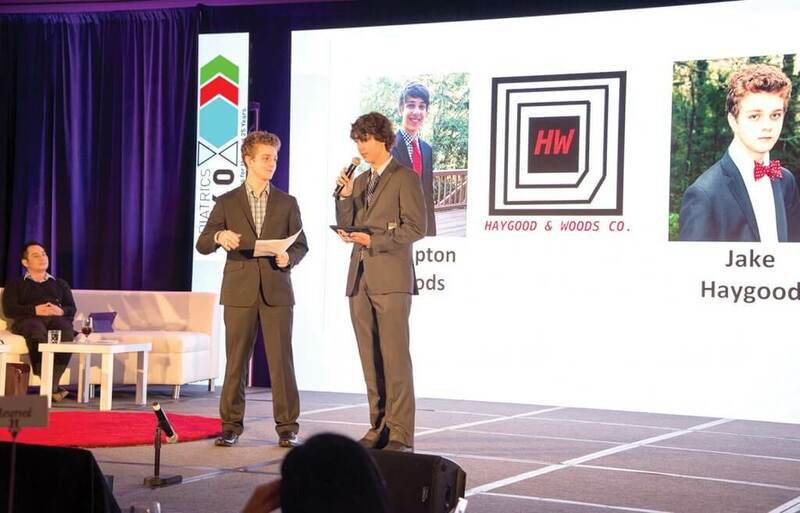 Jake Haygood, left, and Hampton Woods, right, presenting at Pediatrics 2040 Innovation Beach.